Curl studied chemistry at Rice University, Houston, Texas, where he earned his BA in 1954. He received his PhD at the University of California, Berkeley, in 1957, where he worked with Kenneth Pitzer, then Dean of the College of Chemistry. The most important work he did at Berkeley was on Pitzer's extension of the Theory of Corresponding States. Curl then obtained a post-doctoral position with E. Bright Wilson at Harvard. At that time, Wilson had developed a method for measuring barriers to internal rotation using microwave spectroscopy. He returned to Rice in 1958 to become Assistant Professor and has remained there since. He became an Associate Professor in 1963, and a full Professor in 1967. Dr Curl was the Harry C. and Olga K. Wiess Professor of Natural Sciences from 1996 to 2002. 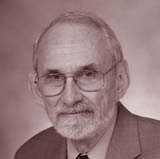 He served as Chair of the Chemistry Department, 1992-1996, and as Master of Lovett College (Rice University) 1968-1972. Robert Curl is the Rice University Professor Emeritus, Pitzer-Schlumberger Professor of Natural Sciences Emeritus, Professor of Chemistry Emeritus. His first student at Rice was Jim Kinsey. They worked together on the microwave spectrum of ClO2 and the treatment of fine and hyperfine structure. Outside Rice Curl has collaborated with C. A. Coulson, Roger Kewley, Takeshi Oka, Ken Evenson, John Brown, Eizi Hirota, Shuji Saito, Anthony Merer, Wolfgang Urban, Harry Kroto and Leon Phillips. Among the Rice Faculty, he has enjoyed collaborations with John Kilpatrick, Frank Tittel, Phil Brooks, Rick Smalley, Graham Glass and Bruce Weisman. James Heath and Sean O'Brien, who were graduate students at the time, did most of the experiments that led to the discovery of fullerenes. The early experiments that Sean and Jim did not do were carried out by Yuan Liu and Qing-Ling Zhang. Frank Tittel became involved in this work at an early stage, while at a later stage, F. D. Weiss and J. L. Elkind did the shrink wrap experiments, which were among the strongest evidence for the fullerene hypothesis. Robert Curl is a member of the National Academy of Sciences, European Academy of Arts and Sciences, Phi Beta Kappa, Phi Lambda Upsilon, and Sigma Xi. He is a Fellow of the American Academy of Arts and Sciences, a Fellow of the Optical Society of America, and Honorary Fellow of the Royal Society of New Zealand. He has been a NSF Predoctoral Fellow, a NATO Post-doctoral Fellow, and Alexander von Humboldt Senior Awardee. Jointly with Kenneth Pitzer, he received the Clayton Prize of the Institute of Mechanical Engineers in 1957. His other awards include the American Physical Society International Prize for New Materials (1992) and the American Carbon Society Medal for Achievement in Carbon Science (1997). He shared the Texas Distinguished Chemist Award for 1997 with Rick Smalley. He received the Order of the Golden Plate from the American Academy of Achievement in 1997, the Johannes Marcus Marci Medal in Spectroscopy in 1998, the Madison Marshall Award in 1998, and the Space Act Award in 1998. He is a member of the Texas Science Hall of Fame.